Hangovers come with many negative effects. But as long as alcoholic beverages exist, cases of minor or severe intoxication would continue. This is why special treatment centers have been established to provide adequate treatment to patients experiencing crapulence. These treatment centers are solemnly focused on providing comprehensive medication to patients experiencing crapulence (also known as Katzenjammer). At the moment, there are different types of treatment centers available. 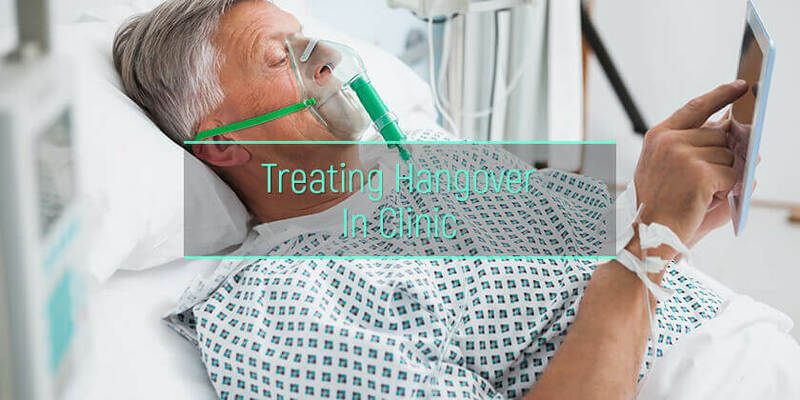 The aim of this article is to outline the various types of hangover clinics and state the advantages and disadvantages of treating crapulence in a hangover recovery center. What are the hangover clinics? What are the types of hangover hospitals? What are the mobile hangover clinics? What are the stationary hangover clinics? How do hangover clinics treat this condition? What are the benefits of treating hangovers in the hospitals? What are the disadvantages of treating hangovers in the hospitals? Hangover clinics are special health centers primarily focused on the treatment of crapulence patients. These hangover cure clinics provide immediate medication when called upon. In a bid to provide swift treatment, most hangover clinics are situated close to party halls and hotels. As a result, patients can receive immediate medication when crapulence occurs. At the clinic, different kinds of treatments are administered based on the level of medical attention required. 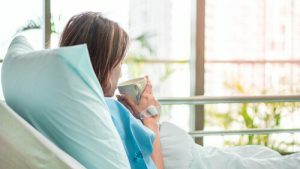 Rehabilitation hospitals: Rehabilitation hospitals are special facilities made for the rehabilitation of patients with various medical conditions.They include alcohol dependence, drug abuse or dry drunk syndrome that result from Katzenjammer. Psychiatric hospitals: These facilities provide help to the patients with severe mental problems, erratic behavior, memory loss, bipolar disorder, etc. Trauma centers: These are special centers equipped to provide 24 hrs treatment and care to patients with physical injuries. The hangover may cause unconsciousness, persistent fatigue, injures, or car accidents. Trauma centers have specialized coverage of anesthesiology, emergency medicine and critical care. Patients who fall into this category may need to get rid of a hangover fast as far as they may need the intense treatment for their traumas. Mobile clinics are special facilities that provide immediate treatment to crapulence patients. Mobile clinics use the vehicles like a van, and repurpose them to provide space for clinical services. So, they can come directly to the place where the hungover person is and provide help there without transportation. Delicate crapulence: Packages include hydration, electrolytes, and vitamin C.
Moderate crapulence: Packages include hangover vitamins from group B and A, D, E, K plus a set of 12 micro and macro elements. Severe crapulence: Packages include antiemetic, analgesics sedatives, and sleeping pills. Stationary clinics are facilities that provide crapulence treatment options to the patient. Unlike in mobile clinics, patients must visit the facility to get the treatment. These can be the separate facilities that specialize in hangover and alcohol poisoning treatment only, as well as the specific departments in regular medical centers. Most of the alcoholism rehab institutions offer the options of the veisalgia symptoms relieve. These stationary centers provide comprehensive treatment options like hydrating the body through iv treatment, relieving a headache with the use of nonsteroidal anti-inflammatory drugs like ibuprofen. Additionally, psychotherapeutic treatments and medical treatment are done concurrently, just like in alcoholism rehabilitation centers. Medications: In case of severe alcohol intoxication and withdrawal symptoms, the doctors usually prescribe different medications to relieve the major negative symptoms. For example, benzodiazepines prevent agitation and seizures. Anticonvulsant drugs are also sometimes prescribed to reduce cravings; adrenergic medications reduce elevated pulse and blood pressure. Thiamine and magnesium are also often used as supportive supplements. IV treatment: Clinics treat crapulence through use of intravenous fluid with vitamins and supplements. They replenish the vitamins lost as a result of the intoxication. IV treatment is one of the best ways to cure the morning after drinking symptoms. Aftercare: After the acute hangover symptoms were eased, the patient will be free to go home. The doctors may prescribe some home remedy for a hangover, which will depend on the personal features and the severity of the condition. This type of treatment is recommended by the clinic for patients experiencing minor intoxication. Patients get a list of the best food to cure a hangover. Eating properly will help to get rid of the psychological and physiological symptoms associated with intoxication. Anti-hangover drinks may also help mitigate the after-effects of a crapulence; it also helps the body recover from the effects of drinking alcohol. Anti-hangover drinks contain anti-oxidant and anti-inflammatory properties which help reduce the symptoms of intoxication. Intoxication severity experienced by patients depends on the dosage and type of alcohol consumed. For this reason, treating unpleasant symptoms would require the attention of a specialized health center to safely tackle the problem quickly. The shot hangover cure is also another way of treating crapulence without medical attention. They can be easily bought online or in the local stores. However, they have no proven efficacy in most cases. Aside from crapulence, excess intake can lead to serious health issues. At this point, it is crucial that people always moderate the intake of alcohol to the minimum. For those wondering what’s the best thing for a hangover, it is to seek medical attention immediately intoxication symptoms arise. Alcoholism is a dangerous disease that requires appropriate addiction treatment. Reach out to find help in the alcohol dependence rehabs.